On Saturday, December 17, 2016, the RoboRavens hosted a VEX EDR competition at their host school, Longfields Davidson Heights S.S. which was attended by 25 teams from Ottawa, Hamilton, Stayner, Richmond Hill, Sault Ste. Marie, Brampton and Kingston. Out of the 25 teams, 4 represented the host RoboRavens, one of which was an all girls team. Each year, teams of students design, build and program a robot to compete in a game-based engineering challenge. 2016`s game was called “Starstruck.” In the game, two teams form an alliance having two robots trying to throw the stars and cubes from their side of the field to the other similar to making a point in volleyball. The team would earn extra points for throwing cubes over and for farther distance. They also get more points by hanging its robot on the hanging poles in the final 30 seconds. The RoboRavens, team 1570A, 1570B, 1570C, and 1570D, all made it to the elimination round. 1570A became the 3rd alliance Captain and became a tournament finalist. Students that participated in VEX learned lifelong skills in teamwork, leadership, communication, critical thinking, independence and more. They also created lifelong memories to look back at in the future. In the competition, they get to see the different robot designs created by the teams and learn how each design benefits the game. 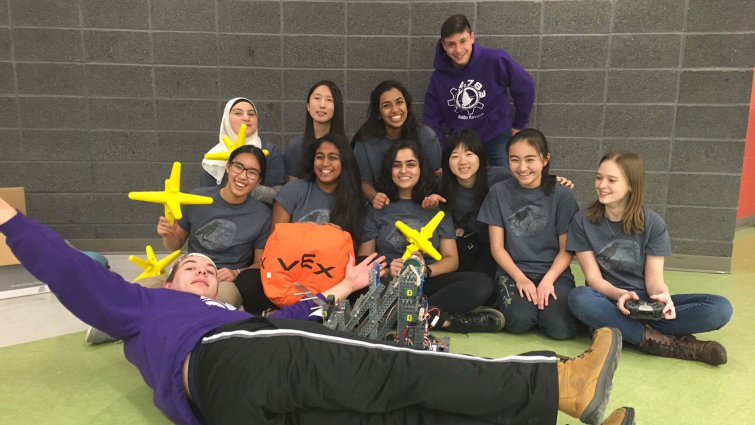 The RoboRavens all girls team, 1570B, were interviewed with CTV later that month talking about their experience as girls interested in STEM fields and robotics. 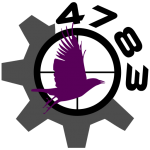 Teams that have played successfully in the regional tournament are Coltenoids Tech No Logic from Ashbury College in Ottawa and Lone Wolf Robotics from Sault Ste. Marie. The Dragons from Brampton advanced to the provincials in St. Catherines to be held in February.